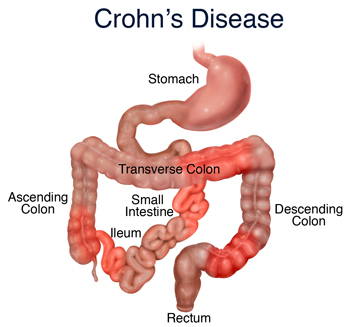 Crohn’s disease (CD) is a type of inflammatory bowel disease (IBD) that can affect both the small and large intestine. The lesions are patchy and involve the entire thickness of the intestine most often in the ileum. CD is a chronic condition that may recur at irregular intervals. The most common symptoms are abdominal pain and diarrhea along with generalized weakness, fever, loss of appetite and weight loss. There are several drugs available that can help control CD. These include oral or rectal forms of aminosalicylates such as sulfasalazine and mesalamine, corticosteroids, immune modifiers such as azathioprine and methotrexate, and certain antibiotics. Certain patients with resistant forms of CD may require surgery. Infliximab (Remicade®, Centocor) is new treatment sometimes used for people with moderate to severe CD that is resistant to the traditional forms of therapy. It may also be used in CD complicated by the presence of fistulas. Infliximab is given by an intravenous infusion and contains antibodies to TNF-alpha. TNF-alpha is involved in the inflammatory process and appears to be elevated in people with CD. The long-term safety of this treatment has not been established. Maintenance of proper nutrition is important in the medical treatment of CD because poor absorption in the presence of a decreased appetite may lead to depletion of nutrients. Although people with UC may require chronic drug treatment, they generally lead a normal, productive life. There is no cure currently available, however research into new forms of treatment offers hope for improved therapy. The presence of CD increases the risk for colon cancer. 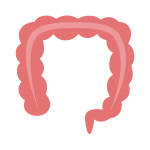 An annual colonscopy is often recommended as a screening mechanism depending on other risk factors, particularly any evidence of precancerous tissue. There is a currently great research effort to define chemopreventive agents for colon cancer as well as many other types of cancer. Chemoprevention is the attempt to use natural and synthetic compounds to interfere at the early stages of cancer, before invasive disease begins. 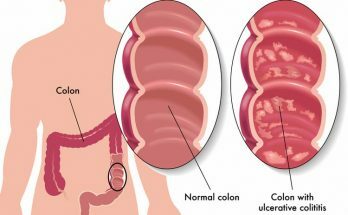 Previous Article Can ulcerative colitis cause colon cancer? Next Article Can herbal medication help nausea & vomiting?